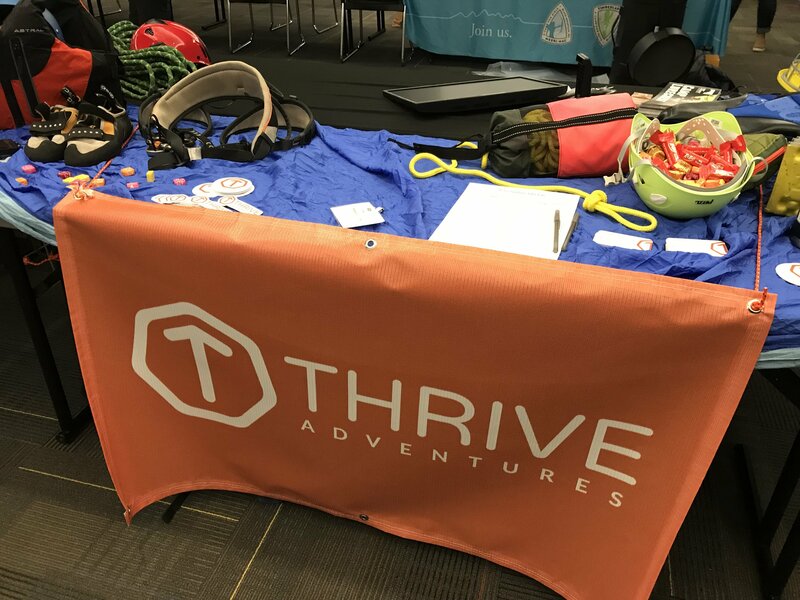 This adventurous looking table you see above was our set-up in February when we met with college students at Appalachian State University in Boone, NC. As Peter and I plan for the upcoming year, our biggest prayer for our team is that God might send more staff our way. A few more people willing to reach the lost and hurting through experience with God in the outdoors would really help us grow and serve more people. 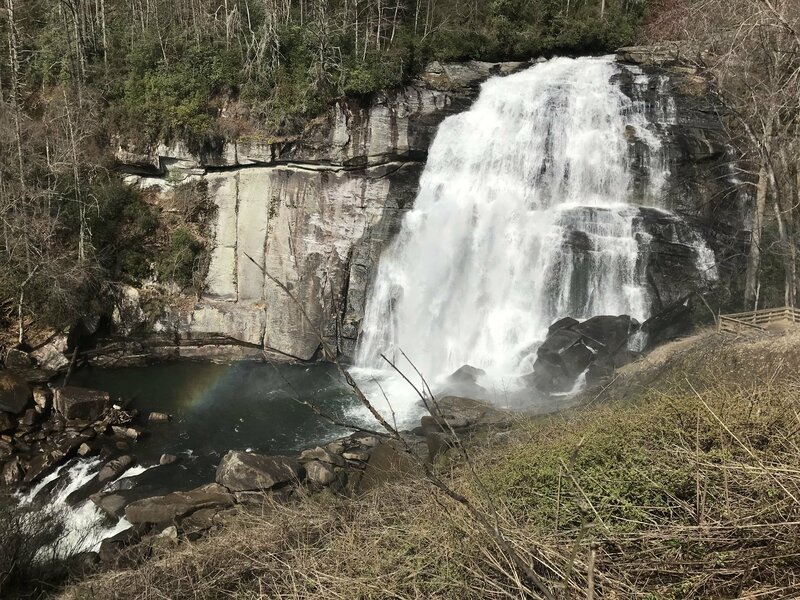 With those desires and needs in mind, we are pursuing events and opportunities to give us more exposure in Asheville and beyond that might open doors for more staffing. We are prayerfully walking through doors and seeing who God calls in the process! 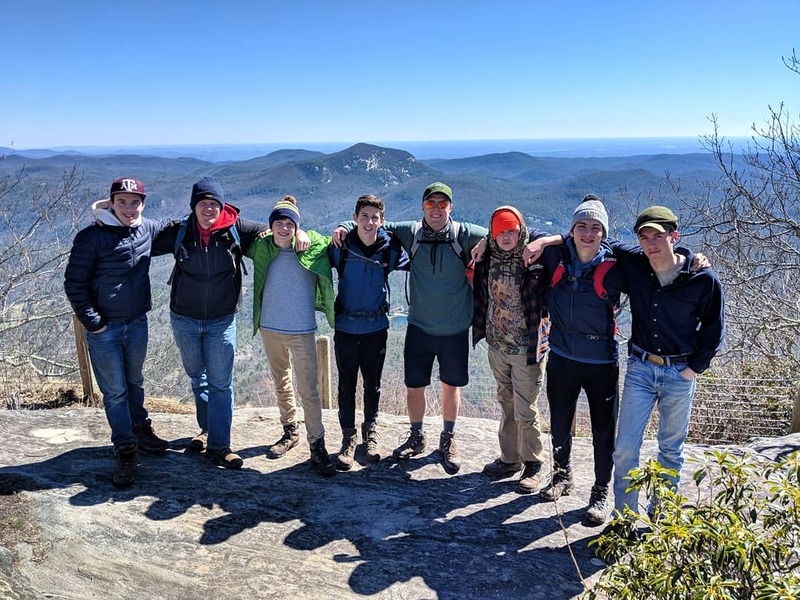 This March we had the great privilege to run a three day retreat with some high school guys from Asheville Christian Academy. As with most our trips, I handled many of the logistics and planning, but since it was a guys retreat, Peter guided the trip with a male teacher from ACA. Reading feedback and hearing stories from Peter made it clear that these young men are truly desiring more opportunity to be authentic and real in community. During the trip they were able to do some experiential learning while spending time in community and talking about their faith. There are already plans of repeating a similar trip with ACA guys next spring as well as adding in a trip for high school ladies that I would get to lead! We are excited about this partnership with a local school as we start our first season of trips. Some days we are out scouting or running trips, but many days also look a lot like this photo: emails, calls, meetings, and planning. As I mentioned before, this year we are praying for and pursuing more staff on our team. 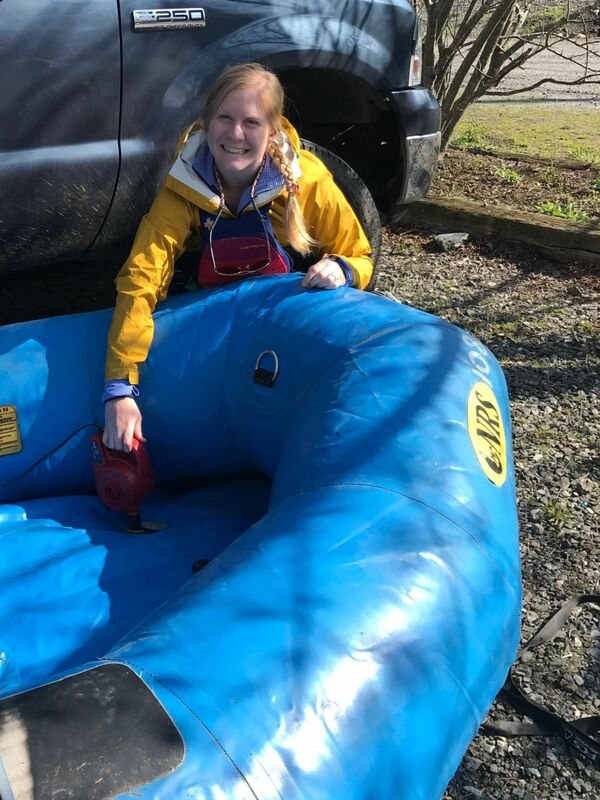 We also are working on a few avenues for raising more funds to buy whitewater rafts as well as the paddles, PFD (personal flotation devices), and helmets necessary to take a group of 12 people rafting. Reaching out to people for staffing, funding, or future trips leads to meetings and conversations that we pray will cause the ministry and our impact for the Gospel to grow. Though our hearts desire to continually be out in Creation with people, we see the necessity and value of strategic planning and general office work to make a greater impact on those around us. 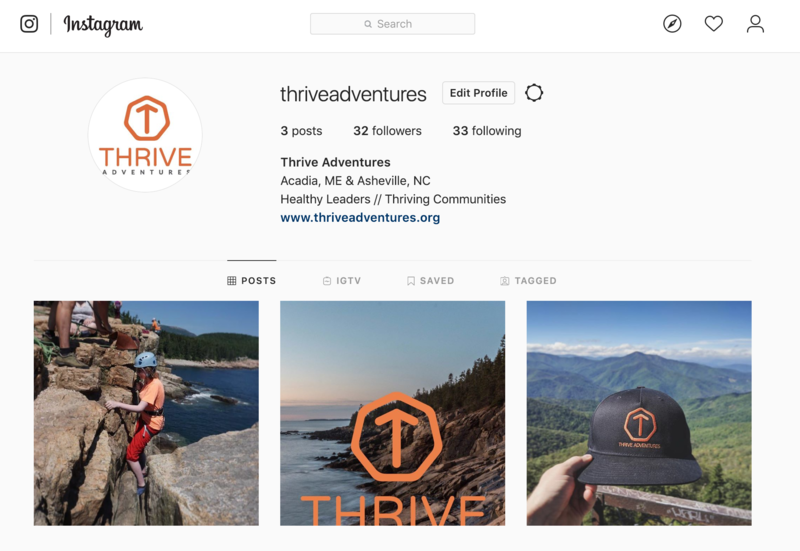 Due to some regulations with the National Forest Service, in February we discovered that we would need to start Thrive Adventures as its own entity, rather than getting our permit through GSN, in order to be granted permits for using National lands. As you might imagine, this has created quite the adventure for myself and Dan Litchfield, our National Director. 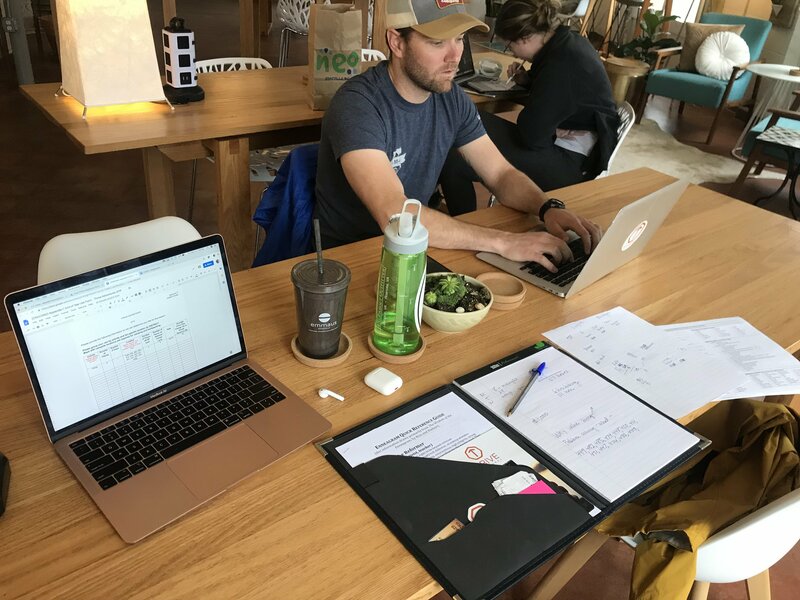 The past few months have been an exciting time of learning as much as we can from others as we fill out paperwork and create Thrive Adventures as a nonprofit entity. There is much to still work out on the details, but we are excited where God is leading us as a ministry. I am so thankful how this challenge has reminded me how fully reliant on Him we have to be in all things. Next week, April 7th - 12th Peter and I will be attending more training for whitewater rafting through the Nantahala Outdoor Center. Building from our training last spring, we will continue to strengthen our skills in guiding a raft as well as river rescue techniques. We are both thankful for this opportunity as we prepare for rafting trips later this summer and fall! Also, at the end of April we have two different paddle-boarding trips scheduled for UNCA students and youth from City Church AVL. I look forward to sharing more about those trips in my next letter! "Where can I see more about Thrive?" Follow us on social media and our website! 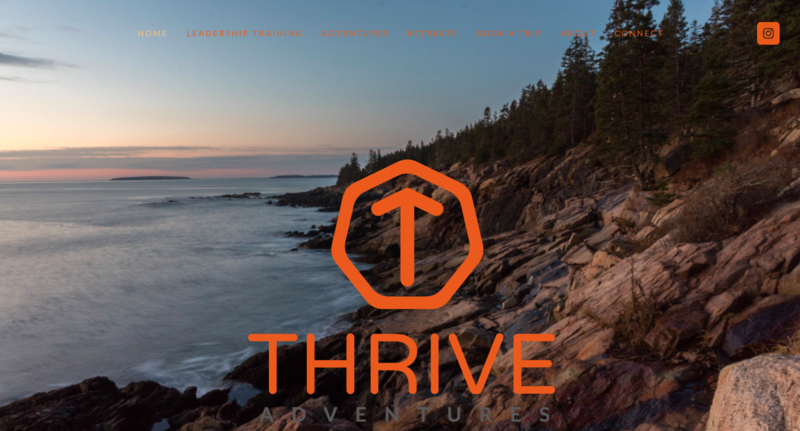 We are rapidly moving into a place where we are able to advertise and display what Thrive Adventures is up to. Our website is up and we are actively building our Facebook and Instagram accounts. These platforms will help us share what is happening through Thrive as well as connect with potential new groups to lead. Please use the buttons below to check out our website, Instagram, and Facebook page. Your follows and likes can help boost our page visibility! 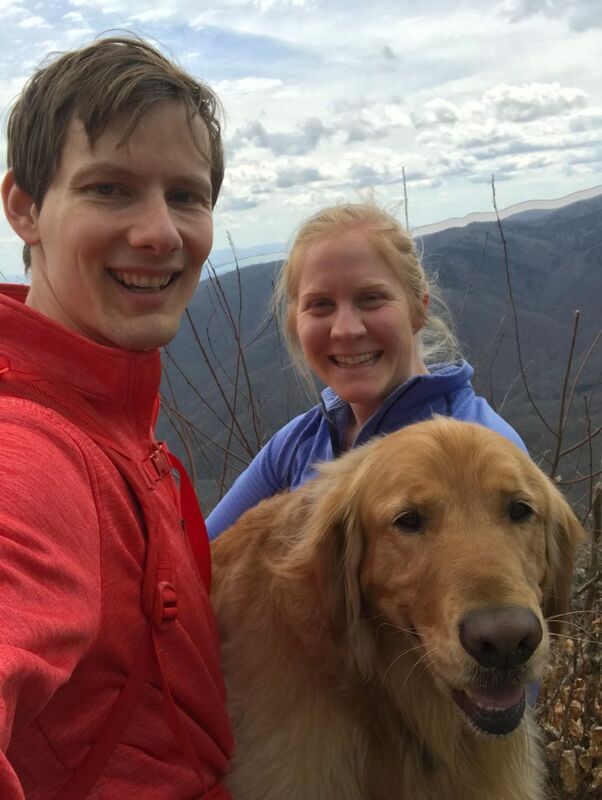 As I said in my last letter, life in Asheville continually feels more settled and we are so thankful for the friendships that are deepening in our neighborhood and church! In February we joined our church and have since helped to start a new community group with another couple. Then in March we had the pleasure of hosting my parents in Asheville! We enjoy showing off our little city and having an excuse to eat out at some amazing local restaurants. If any of you are ever driving through or planning to visit, please let us know. We'd love to see you and give recommendations on activities and food! 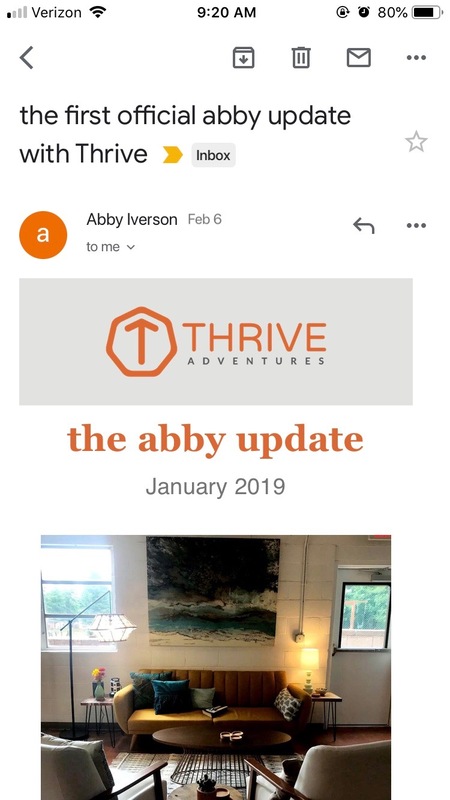 Lastly, I wanted to let you all know that at the beginning of February I sent out "the first official abby update with Thrive" from my new email address: abby@thriveadventures.org. I was notified that many people never saw it because it got redirected to their promotions or spam. PLEASE add my email (abby@thriveadventures.org) to your contacts list so that these emails show up in your inbox for you to read! I would encourage you to search for the old one and read it as it shared a lot of great information about the new ministry as we were getting set up! 1. Please pray with us as we ask the Lord to send more believers who desire to work in outdoor experiential learning. Pray that we would pursue the right opportunities and that God would call a few others to labor with us! 2. Praise Him with us that our the first trip with ACA guys was safe and successful and that more trips are being booked. We are so grateful for the chance to provide opportunities for growth and restoration to those attending. 3. Pray with us as we are pursuing grants to fund some of the gear we still need in order to offer whitewater rafting trips. Ask the Lord to provide fruitful connections. Specifically we have applied to a microgrant in Asheville that we will find out about within the month. Please pray that one way or another God would provide what we need and that we would always be grateful for his provisions for this ministry in His own time. Partners in prayer and support, I'm incredibly grateful for you! Please let me know how I can be praying for you or celebrating in life with you! Never hesitate to reach out and know that I care for you deeply. Your part of this ministry is so clear to me!